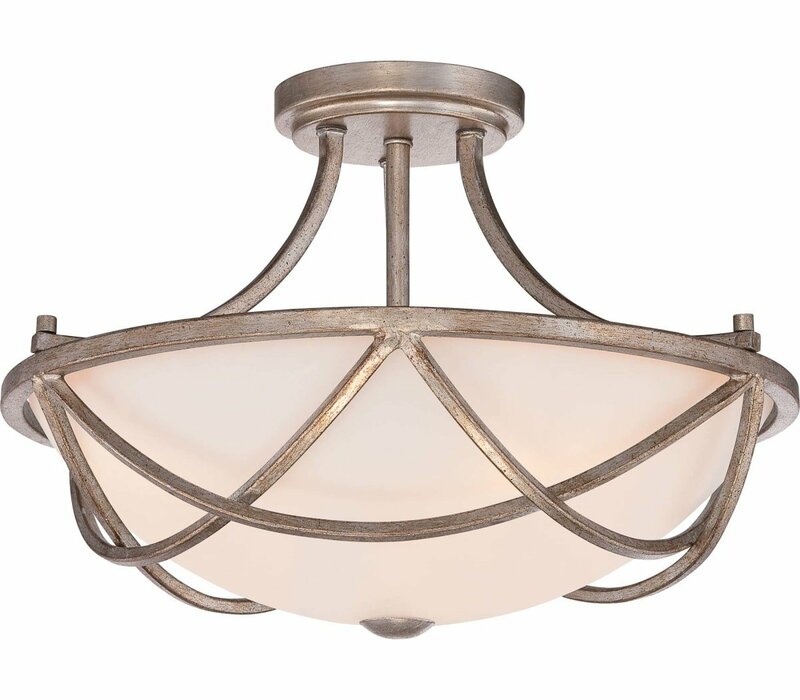 Milbank features the ideal combination of transitional design with an old world finish. The open concept of the graceful framework is the perfect counterpoint to the bright opal etched glass and the Vintage Gold finish. The dark gold and silvery hues of the finish are highlighted with black speckling. 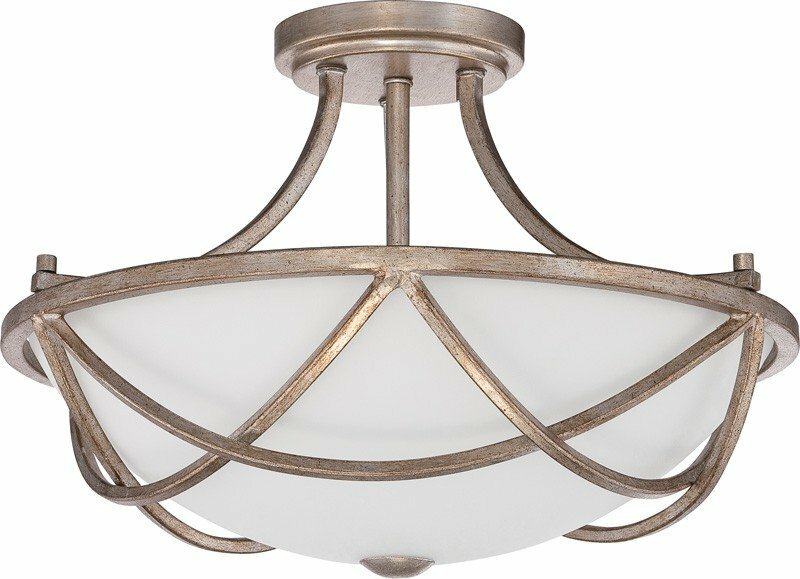 The Quoizel MBK1716VG Milbank collection Close to Ceiling Lighting in Vintage Gold uses Fluorescent light output and brings Transitional style. This item is 11"H x 16"W x 16"L. The wattage is 100. 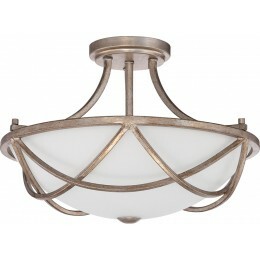 The Quoizel Lighting MBK1716VG requires 3 bulbs (not included). 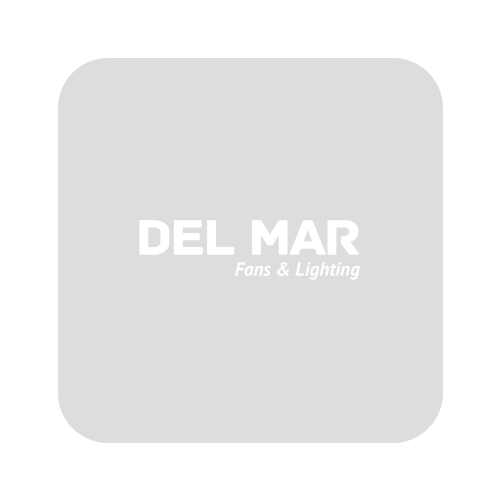 Additional Information: Shade-OPAL ETHED GLASS.